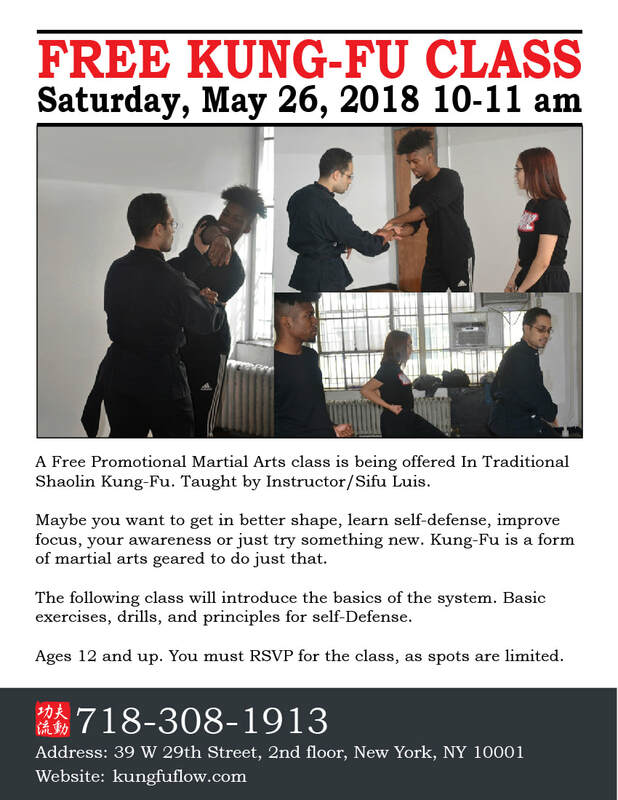 Free Martial Arts Class. Spots are limited. Saturday, May 12th. 10-11 am. 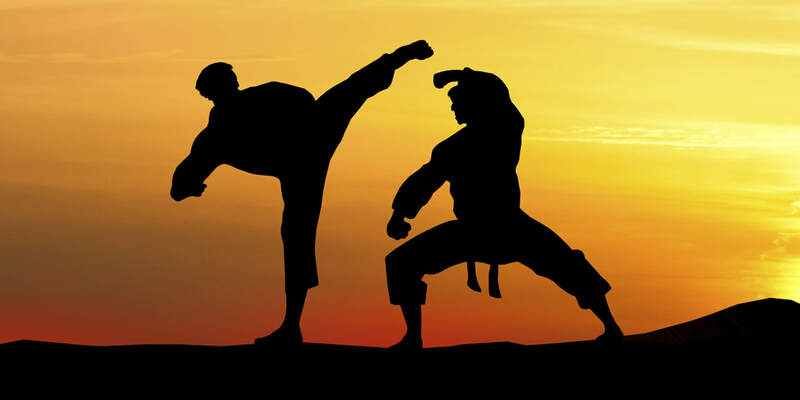 Learn the basics in Northern Shaolin Martial Arts, Basic Drills, and Self-Defense techniques. Must register for the class. April 21st, 2018 make sure you save the date. Return of the Classics Warriors is a tournament held once a year in Harlem New York. Open Karate, Kung-Fu, Tae Kwan Do Champions. And really different Traditional Styles are welcome to come. The tournament will feature both children and adults taking part in various events such as Forms, Weapons, Self-Defense, and Fighting. Participants must arrive at 9:30 am for reading of rules. Tournament starts at 11:30am and ends at 3pm. The tournament is being presented by Grand Master Halbert J. Lee. For more information on the tournament he can be contacted at 646-301-0774. It is that time of year again. The Chinese Kung-Fu, Wu-Su Association is having its annual demonstration. This year is special as they have been around for 50 Years! The school opened up back in 1967, started by Grand Master Alan Lee. Teaching and empowering people of all different walks of life to improve themselves through the teachings of traditional Chinese Martial Arts. There are many people who search for spiritual enlightenment. Many have done so with Meditation and yogic practices. There's an article in the New York Times by Karan Bajaj. 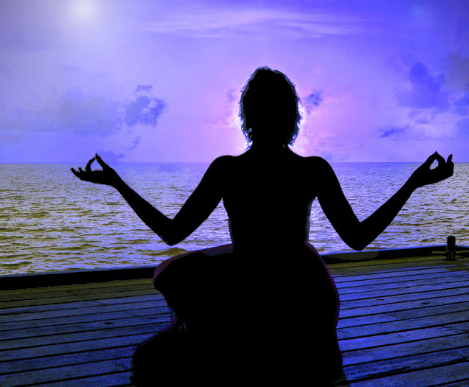 She talks about her experience with Meditation and her search for enlightenment. Karan talks about wanting to live up in seclusion to truly find enlightenment. Talks about how since she had learned to meditate in India she has practiced since. Practicing for hours and hours a day. She seeks out a yogi for guidance. And what she realized was that the Yogi was no longer hidden away in a cave. That while the yogi practiced and lived an enlightened life she did not physically separate herself from people of this world. This enlightened person serves on the Ganga Prem Hospice board. She’s Living and helping other people who are suffering in this world. In my view that is the profound message. She has learned to separate herself from the trappings of this world while being able to still live in it. And in doing so help other people to do the same. This is very important because meditation is not just for the sage up in the mountains. It is a tool for everyone to help clear our minds. To help us look into our own hearts and minds. And the practice helps you get away from the chaos of everyday life. You separate as much as possible from the chaos while living in the chaos. Everyone seeks to find the balance of dealing with stresses of daily life without being consumed by it. Meditation to me is a priceless practice, which helps us to achieve this. Something everyone can benefit from. A link to the article is below. 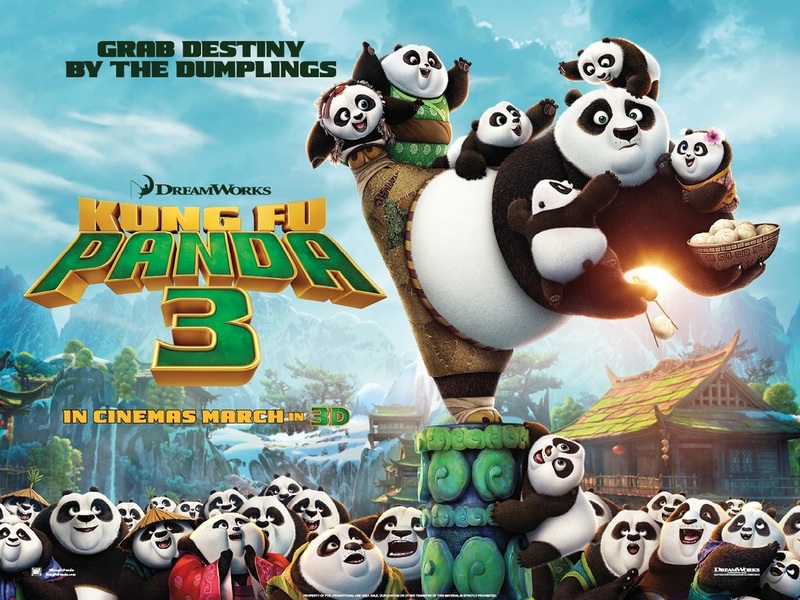 Kung Fu Panda 3 is a Kung Fu animated comedy for kids. I think it's a great movie for the family and helps support the future of Kung Fu students. Especially sparking interest among children into the martial arts. Po is a loveable Panda bear who has become known as the Dragon Warrior. Even as the Dragon warrior he has much to learn. And must face the Supernatural villain Kai. To do so he must teach a village of Pandas to become Kung Fu Pandas. He must also learn to harness his Chi/ Energy and find his true self. He must answer the question who am I? The film is filled with laughter mixed with philosophical sayings and playful animated scenes. Truly a fun film for the whole family. If you haven't scene it, watch the trailer below. 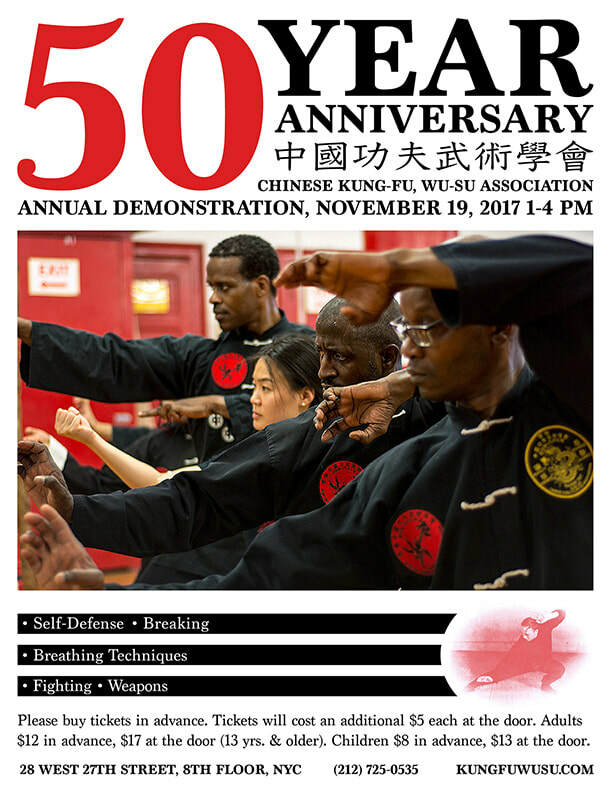 The Chinese Kung-Fu Wu,Su Association is having its annual demonstration once again. Founded back in 1967 by Grand Master Alan Lee, the association is still in operation today. Lead by Grand Master Lee's 6 Masters and senior instructors. It's a chance for people from the school to showcase what they have learned and spend there evenings practicing. It helps promote and fundraise for the school as well. Every year they put on a show, which I am proud to be a part of. People get a chance to see a little of everything we that we teach at the school. Self-defense, Fighting, Weapons, sparring, Disciplines such as Iron Body, light skill and more. Every year we demonstrate a variety of different things. It's a great event for martial art enthusiast, practitioners and people purely interested in seeing martial arts for the first time. Tickets are available at the school or on the day of the event. However tickets are more expensive if bought at the door. All information is on the above flier. Come check us out and help support a traditional school now in operation for over four decades. The US Open martial arts Tournament is approaching fast. People come from around the country and world to compete right here in NYC. A great tournament to come and watch and get exposed to different styles of martial arts. All Styles are welcome. 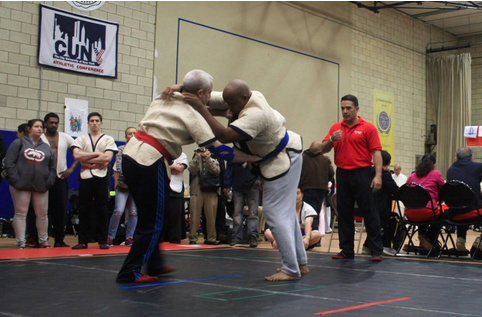 You can see Traditional and modern forms of martial arts demonstrated at this event. The tournament takes place this Sunday and the address is below. Below is a old clip from 2012 Masters demonstration. If boards and bricks don't hit back than why break such objects? And how do we achieve these breaks. This is a topic that I have spoke about before. The clip above is from a 2014 demonstration. While objects like boards and stone do not hit back they are a tool to test whether or not you have the power, speed and skill necessary to do damage with such technique. My break I have practiced standing and from the ground. The "Tiger's Tail Kick." Breaking more than one makes breaking one that much easier. The break takes speed, power, accuracy and focus. Now I can break one without thinking about it and quickly. This is a goal to have. If it takes me a long period of time to concentrate on an object to break it than I may or may not be able to execute such technique with the same degree of power in a real situation. Practicing breathing, meditation and concentration exercises is so important as a result. Being able to relax and clear the mind is essential to focus the mind. Focusing your energy on a single point is what will allow you to perform high level breaks such as 3 cinder slab breaks and multiple bricks. You need to be able to get your mind to be in the current moment in time.